Poveglia, a small island located just off the coast of northern Italy between Venice and Lido in the Venetian Lagoon, is said to be the most haunted island on earth or even the most haunted place in this world. A small canal divides the island into two separate parts, giving it a unique shape of beauty. The uninhabited island of Poveglia is known as one of the most illegal places one could (but really shouldn't) visit. When most people begin planning a trip to that famous part of the world, images of romantic walkways, Renaissance art and ancient architectures come to mind but such haunted island generally doesn't occupy a slot in anyone's must-see list. But some visitors are still curious about the small, infamous Italian island that once served as a quarantine station, a dumping ground for black plague victims, more recently a mental hospital. Over the years, this tiny island has witnessed countless tragedies within its coastlines because of which it has earned its ghoulish moniker. Today, Poveglia island remains one of the most haunted places in Italy that stands completely deserted, as a crumbling collection of abandoned buildings and weeds, just two miles away from the glittering palaces of the Grand Canal. 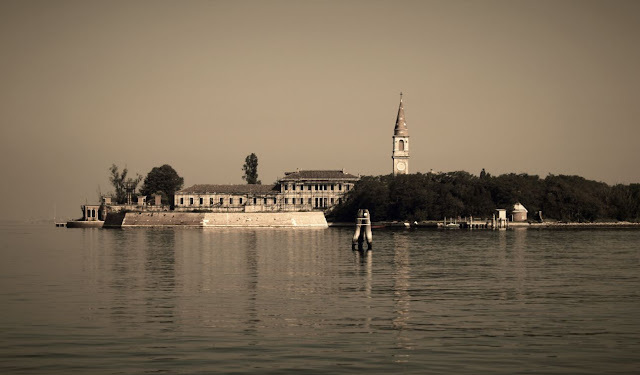 Despite the fact that it is illegal to visit Poveglia, thrill-seekers continue to consider it a cool, albeit creepy destination; however, everyone who has taken the chance of stepping foot on the island has left with absolutely no desire to ever return. It is said that every tragic event that happened in its history still haunts this lonesome island. Going back thousands of years, during the Roman Empire, the Poveglia island was initially used to house victims of the plague and leprosy, and its name first appears in the historical record in 421, when people from Padua and Este fled there to escape the barbarian invasions. In the 9th century the island's population began to grow, and in the following centuries its importance grew steadily. In 1379 Venice came under attack from the Genoese fleet that led the residents of Poveglia moving to the Giudecca. The island remained untouched in the subsequent centuries until 1527 when the doge offered the island to the Camaldolese monks, who refused the offer. In the mid-17th century, the Venetian government built five octagonal forts to protect and control the entrances to the lagoon, and the Poveglia octagon is one of four that still survive. Beginning in 1776, the island came under the jurisdiction of the Public Health Office, and became a check point (quarantine station) for all goods and people coming to and going from Venice by ship in order to protect the rest of the country from plague and other infectious diseases. It was the time when the plague returned and killed off nearly two-thirds of Europe's population. During that awful period, Venice had the strictest sanitary laws: the government required all traders to live on Poveglia for 40 days before Venice allowed them into the city. Eventually, in 1793, there were several cases of the plague on two ships, and consequently the island was transformed into a temporary confinement station for the ill. Within some years, the dead bodies quickly began to overcrowd the island and thousands were dumped into large, common graves. In many cases, the bodies were burned. Some overly cautious Italian communities even got into the habit of shipping away anyone who showed the slightest signs of illness. Many of those people had not actually been infected with the plague at all, and were literally dragged to Poveglia and dumped atop piles of rotting corpses. The island became a permanent isolation hospital (lazaretto) in 1805, under the rule of Napoleon Bonaparte, who also had the old 12th-century church of San Vitale destroyed, and the remnant old bell-tower was converted into a lighthouse. It's the most visible and also one of the oldest structures on the island, providing a landmark to this historic place. The lazaretto was closed in 1814. In the 20th century the island was again used as a quarantine station, but in 1922 the existing buildings were converted into an asylum for the mentally ill and for long-term care, few people were very surprised. However, the reality was quite different as the mentally disturbed patients to the island only served to enrich the legend of it being a place to avoid. The isolation and privacy offered by the island allowed for disreputable scientists and doctors to do as they pleased to their patients. Reports of wide spread abuse and evil experiments began to float back to the mainland, bringing with them the screams of the tortured souls trapped there. Poveglia legend tells of a particularly demented doctor whose notorious experiments on patients are still shocking when told today. For instance, he believed that lobotomies were a great way to treat and cure mental illness, so he performed lobotomies on numerous patients, usually against their will. The procedures were heinously wicked, and painful, too. He used hammers, chisels, and drills with no anaesthesia or concern for sanitation. He supposedly saved his darkest experiments for special patients, whom he took to the hospital's bell tower. Whatever he did in there, the screams from those being tortured could be heard across the island. According to the story, the doctor began to suffer his own mental torture and was pursued by the island's multitude of ghosts. Eventually, he lost his mind and climbed to the top of the bell tower and flung himself to his death below. There are varying accounts of his death, though. Some say he may have actually been pushed, either by an angry island spirit or by some of his furious patients. Supposedly a nurse witnessed his fall, claiming that he initially survived, but that a ghostly mist emerged from the ground and strangled him to his death. However, some elaborate on the legend and claim that the doctor was seized, still alive, by some of his lobotomised patients, and bricked up in the wall of the bell tower. Other versions say that patients placed him in the tower after he was dead. Somehow, the mental hospital remained open until 1968. In the 1960s, the island also housed elderly homeless people for some years. After that, the island was completely abandoned and was only used for the agricultural purposes, specially for the grape harvesting. This creepy place still happens to be home to thriving grape vineyards. Nearly the only people who dare visit the island these days are those who go to seasonally harvest the fruit. Grape vines must do well in ashy soil, because it had been said that more than 50 percent of the island's soil is composed of human ash! Years after Poveglia Island's mental hospital was shut down, a family decided to purchase the island, intending to build a private holiday home there. They arrived and got settled in on the first day, excited to begin their new adventure, but that very first night was filled with such horrors that within hours the family fled, never to return. They reported that their daughter's face was nearly ripped off by an angry resident entity. Many believe that hundreds of thousands of tormented souls still remain trapped on Poveglia Island. From the massive influx of plague victims who were forced onto the island to those who were tortured at the mental hospital that was once stationed there, a sense of sorrow and suffering continues to permeate from the island to this day. In fact, it has even been said that you can still hear their screams! Visitors to the hospital during its final years of operation, as well as illegal visitors since then, have reported harrowing paranormal experiences inside the buildings and on the grounds. One thing visitors report experiencing is the sensation of being watched. Some illegal tourists report seeing shadows on the walls moving along with them as they explore the decaying facility. Others report being scratched and pushed by invisible forces. Some entities have even been said to push visitors into walls or chase them down corridors. Some of the visitors even claimed that upon entering the abandoned asylum buildings, they got a heavy sense of dread descend around them, followed by a deep voice that warned: "Leave immediately, and do not return." The visitors immediately complied. 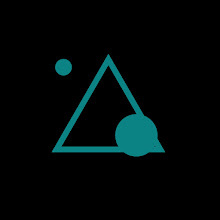 Even, the locals to this day claim that the doctor's spirit is still in the tower and will remain there forever and that on a quiet night, if you are listening closely, you can hear him ring the tower bell. Charred human bones still wash up on Poveglia's shore and it is no surprise for this small island where, over the years, more than 100,000 plague victims and mental patients were burned and buried there. The local fishermen give the island a wide berth for fear of netting the wave-polished bones of ancestors.